I make this statement on behalf of the Association for Women’s Rights in Development, the Coalition of African Lesbians, the Sexual Rights Initiative, and the Association for Progressive Communications. 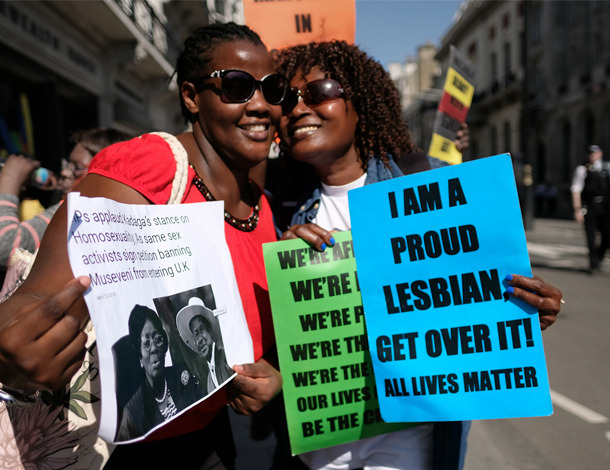 On 19 April 2018 LGBT protesters gathered in London to protest the refusal of the Commonwealth Conference to deal with the issue of laws across most member countries criminalizing gay rights. The Vienna Declaration affirms the duty of all states to promote and protect all human rights - indivisible and universal - prioritizing women’s human rights and the eradication of all forms of gender-based discrimination. Yet, we observe with alarm today intensifying attacks on our human rights systems and protections, and particular threats to Women Human Rights Defenders. Around the world, movements of the extreme right are growing in power. Activists are confronted by multiple and intersecting oppressions on the rise: authoritarianism, ultra-nationalism, racism, neo-colonialism, corporate capture, militarism, and fundamentalisms. WHRDs face increasingly repressive environments and threats to their legitimacy and security, and are subject to threats, intimidation, harassment, defamation campaigns, violence, discrimination, and attacks in an attempt to restrict their access and engagement with the UN. anti-rights actors colluding in intimidation, attacks and reprisals against civil society. States then seek impunity for their violations by delegitimizing and undermining the national and international legal frameworks for the protection of human rights defenders and our human rights frameworks as a whole. The recent decision of the African Union requiring the ACHPR to revise its criteria for granting and withdrawing observer status for NGOs, for example, mirrors similar attacks on the global human rights system. 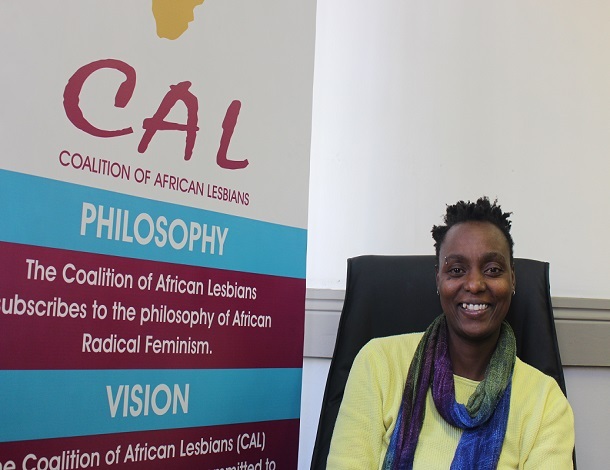 The decision of the ACHPR to withdraw the Coalition of African Lesbians’ observer status, following instructions from the Executive Council of the AU, is a clear illustration of threats enacted by states to civil society participation and defenders working to advance and defend human rights on the continent. Not only is this decision an expression of the misogynistic and homophobic backlash against activists and WHRDs worldwide, it is a sign that the ACHPR has lost its independence. Without an effective, independent and rights based African Commission on Human and Peoples’ Rights, rights holders are left to defend themselves against the routine and persistent rights violations perpetrated by the powerful – including corrupt corporations and government officials. Furthermore, States are increasingly and opportunistically using terms like ‘morals’, ‘values, ‘culture’ and ‘family’, to undermine human rights and delegitimize defenders. These terms do not belong in the human rights framework. The African Union, by its interpretation of the ‘African Values’ of the African Charter on Human and Peoples’ Rights is actively pushing for homogenisation without recognising the diversity of the continent, that values and culture are not static but change, and is using this to further entrench discrimination and violence against women and non-normative people. It is clear that we require an urgent response to the growing global trend of pushback and reprisals against feminist activists and WHRDs, and the moves to undermine and delegitimize our human rights systems. We call upon States to speak out and counter anti-rights propaganda and the dismantling of the global and African human rights mechanisms. 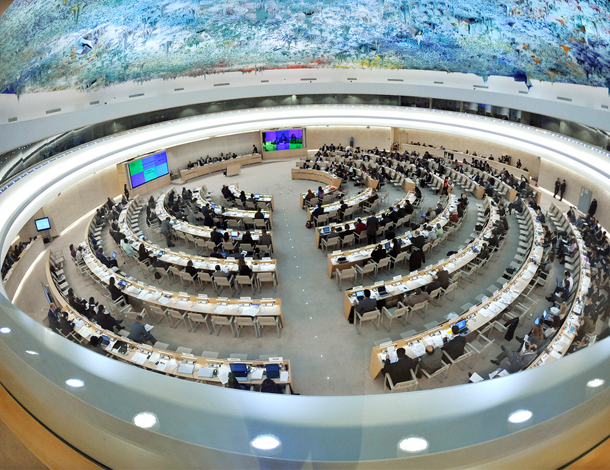 This statement was read out during the 39th Session of the Human Rights Council by Amanda Hodgeson from the Coalition of African Lesbians (CAL), during the general debate under Agenda Item 8: Follow-up to and implementation of the Vienna Declaration and Programme of Action.